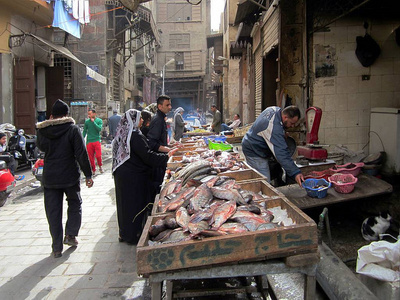 Egypt has its work cut out when it comes to producing a domestic food supply. The nation is home to a population that has multiplied four-fold since WWII, as well as a vast desert and shrinking water resources. Egyptian officials have devised an ambitious plan to decrease reliance on foreign foods: drill over 1,000 wells and turn about 1.5 million acres of the Sahara Desert into farmland. Aside from the obvious logistical challenges of irrigating one of the hottest, driest places on Earth, the project is stymied by a lack of dedicated work force, much higher profits to be made by exporting non-edible agricultural goods such as cotton, and ancient, non-renewable aquifers. “There is no groundwater reservoir in Egypt capable of catering to the needs of this project,” said former minister of water resources and irrigation Mohammed Nasreddine. While small, family-run type farms are best suited in some ways for the project, typically the only operations that can withstand the losses and risks of startup operations are big agricultural corporations. “Small family farms fit well around the Nile Delta region. However, given the costs of pumping water, larger farms are the only feasible option in the more desolate areas of the country,” said Al Dahra Chief Agricultural Officer Roger Pyle. Part of the project involves attempting to revive one of former dictator Hosni Mubarak’s failed experiments; a $6 billion farming project called Toshka, right on the border with Sudan. Lack of supporting infrastructure and location are cited as reasons Toshka never really got fully off the ground. 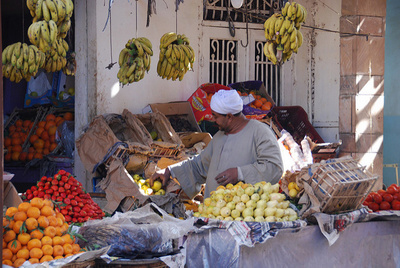 With Egyptians spending, on average, 40 percent of their household income on food, clearly something must be done. What many are wondering is why that doesn’t include less lavish, more practical measures, such as reclaiming farmland from urban development in the fertile Nile Valley, or repairing failing food storage infrastructure, as over 20 percent of Egypt’s domestic wheat is lost to bugs and damp. Population growth, food shortages and desertification remain prevalent problems worldwide, especially in the face of unfettered capitalism and global warming, so if Egypt has an ace up its sleeve in terms of revolutionizing irrigation, the world will likely sit up and pay attention. Until then, average Egyptians simply pray for things to get easier.